TULSA, Okla. — Nick Perkins needed only a few minutes to kick the University at Buffalo men’s basketball team into gear in the early minutes of a 91-74 win against Arizona State. The senior forward watched from the bench as the 11th-seeded Sun Devils muscled their way to an early 10-8 lead against the No. 6 Bulls, then leaped to action as he was called to replace Montell McRae. When he entered, six minutes into the first-round game Friday at the BOK Center, he had a few words for his teammates on the floor. Perkins’ inside presence impressed Arizona State coach Bobby Hurley, who recruited Perkins out of Milan (Mich.) High School. Perkins is Hurley's only recruit on the current UB roster. “I kind of said to Nick, "Wow, you've really come a long way since and grown up since I saw you in high school, ” Hurley said of Perkins. “He's a man out there. You wouldn't think a guy — that was one of the things Nate did a lot of heavy lifting with recruiting Nick. I'm not taking any responsibility for that. Arizona State entered the first-round tournament game against the Bulls averaging 34.2 percent (237 for 692) on 3-pointers in 33 games. Against UB, the Sun Devils fell flat. Arizona State went 3 for 22 on 3-point attempts. Kimani Lawrence hit Arizona State’s first 3-pointer a little more than six minutes into the second half. “It's something that's kind of gone, in some of our games, hasn't gone our way,” Hurley said. “You could look at that statistic, and it seems like there's a relationship between us having success and making a few more 3s than we're able to make. Jeremy Harris scored 21 points and had 10 rebounds for his fourth double-double this season, and won UB’s hard hat award for his performance against the Sun Devils. Harris proudly displayed the hard hat on the podium after the win against Arizona State. The Bulls after each game award a royal blue hard hat covered in decals to the player who earns the highest number of points for making plays that may not show up on the score sheet, such as diving for a loose ball, forcing the opponent into a shot-clock violation or drawing charges. Harris, whom UB coach Nate Oats has dubbed “Mr. 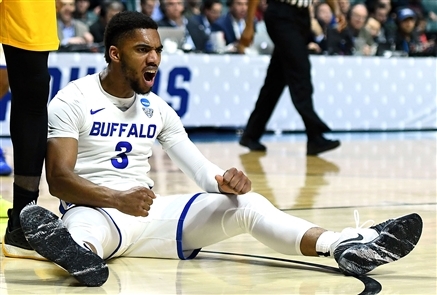 March,” has scored in double figures in UB’s last six games, and is averaging 18.4 points in UB’s seven games in March. Per the terms of his new contract, announced last week, Oats will receive a $15,000 bonus and a bonus pool of $15,000 for his assistants for advancing to the round of 32 in the NCAA Tournament. Oats received a $75,000 bonus for winning the MAC Tournament championship, and a bonus pool of $30,000 for his assistants. Oats’ bonus schedule is cumulative, per the terms of his contract. The National Association of Basketball Coaches named Oats the District 14 Coach of the Year for the second straight season. The Bulls entered Friday’s NCAA Tournament game against Arizona State at 31-3, including a 12-game winning streak. Oats is also a two-time Mid-American Conference coach of the year. 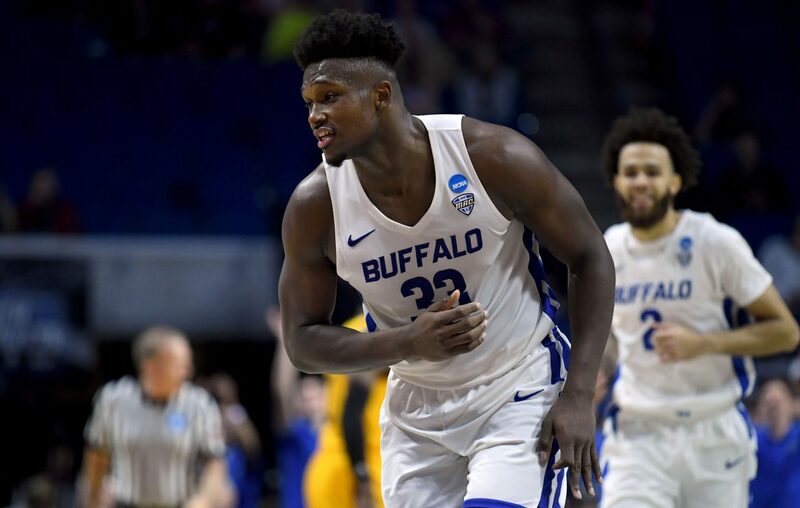 UB is the highest-seeded Mid-American Conference team to play in the NCAA Tournament, since it expanded to 64 teams in 1985. However, the MAC team to advance the furthest in the NCAA men’s basketball tournament is Kent State, which reached the Elite Eight in the 2002 tournament. Rachel Lenzi – Rachel Lenzi is a college/high school sports enterprise reporter at The Buffalo News. She has worked newspapers in Texas, Colorado, Maine and Ohio, and in digital in Michigan, covering high school, college and professional sports.